Personal information collected: When you use our services or make a purchase, you may voluntarily share certain personal information with us such as your name, e-mail address, physical address, mobile number, and/or credit/debit card information. With your prior permission, you may also share personal information when you connect to our sites through social media networks. We may collect additional information from you (e.g. unique device identifier, device’s operating system, or mobile carrier) if you access our sites through a mobile device. Tracking technologies (cookies, etc. ): We use tracking technologies such as cookies and similar technologies to measure usage during your visits to our services and to provide information and advertising that will be of most interest to you. Your information access and managing options: You can change your personal information by contacting us. Your information choices: You can control whether you want to receive promotional communications from us. Your California privacy rights: See below. You can browse our Services without telling us who you are or revealing any personal information. If you contact us or purchase any of our Services, you are choosing to give us your personal information, including but not limited to your name, email address, phone number, mobile telephone number, or physical contact information about yourself. You may also provide payment information such as credit or debit card information, name and billing address to purchase our Services. The Services may enable you to communicate with others and any information or content you post when participating with the Services and Social Networks, plug ins or other applications becomes public information, depending upon your privacy settings, and is subject to redistribution by CPK Media and other third parties. There is no expectation of privacy when posting content or otherwise participating in such interactive forums and we have no control over how those users may use the information you make public. Therefore, you should exercise caution and discretion when deciding to disclose your personal information in a submission or posting. We may collect additional information from you if you access our Services through a mobile device; for example, your unique device identifier, device’s operating system, mobile carrier, and regional location. The degree to which your location can be identified depends on the device you are using, e.g. laptop, smartphone, tablet or other access device (each a “Device”) and how you are connected to the internet (e.g. via cable broadband connection, Wifi, etc.). Operationally necessary: We may use Tracking Technologies for system administration, to prevent fraudulent activity, to improve security or to allow you to make use of our Services. Performance-related: We may use Tracking Technologies to assess the performance of our Services, including as part of our analytic practices to improve content offered through the Services. Functionality-related: We may use Tracking Technologies to tell us, for example, whether you have visited the Services before or if you are a new visitor and to help us identify the features in which you may have the greatest interest. Information may be disclosed to process credit/debit card transactions, which are handled by established third party banking, processing agents and distribution institutions. They receive the information needed to verify and authorize your credit or debit card or other payment information and to process your order. In addition, we may disclose information to third parties to verify the authenticity of any financial transaction involving our company or to update your billing information. We will not share your email address with any third party marketing purposes without your prior consent. We may however use your contact information to send you updates and communications about our products and services or other third party promotional communications, including newsletters, emails, or special offers and share your postal address with marketing partners so they can send promotional offers to you (“Promotional Communications”). If you wish to opt out of receiving Promotional Communications from us or our marketing partners or change your preferences for Promotional Communications, you may follow the instructions in Section 5 Choice and Opt-Out, set forth below. The information we collect may be combined with information from outside records (e.g., demographic information, navigation information, and additional contact information) that we have acquired in accordance with the law. If CPK Media is sold or disposed of as a going concern, whether by merger, sale of assets or otherwise, or in the event of an insolvency, bankruptcy or receivership, information of our users may be one of the assets sold or merged in connection with that transaction. Information about our users may also be disclosed in connection with a commercial transaction where we are or any one of our businesses is seeking financing, investment, and support or funding. We may use your information to send you notices from time to time relating to your purchases. These may include order confirmations, invoices or customer service notifications. We may also send you service-related announcements when it is necessary to do so; for instance, if our Service is temporarily suspended for maintenance, the delivery of a product is delayed or there are policy changes. To cancel a subscription, contact customer service at 866-400-0537 or go to service.milkstreetmagazine.com. To change or update your personal information, contact customer service at 866-400-0537, go to service.milkstreetmagazine.com or email [email protected]. You may also contact us as set forth in Section 6 below. You may choose not to receive our Promotional Communications. For emails, follow the “opt out” or “unsubscribe” instructions in promotional emails we send to you. You may also contact us as set forth in Section 4 above. You may not opt-out of administrative e-mails, for example e-mails about your transactions or policy changes. The Services are directed to a general adult audience. We do not knowingly collect personal information from individuals under 18 years of age and, if we obtain actual knowledge that a user is under 18 years of age, we will take steps to remove that user’s personal information from our systems. California Civil Code Section 1798.83, known as the “Shine The Light” law, permits our customers who are California residents to request and obtain from us a list of what personal information (if any) we disclosed to third parties for direct marketing purposes in the preceding calendar year and the names and addresses of those third parties. Requests may be made only once a year and are free of charge. 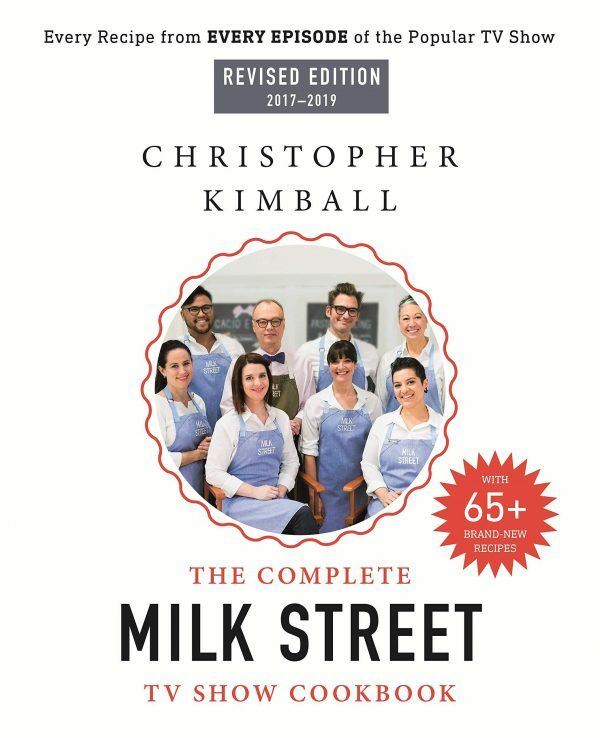 To make such a request, please contact us at CPK Media, LLC d/b/a Christopher Kimball’s Milk Street , 177 Milk Street, 1st Floor, Boston MA 02109. For all requests, you must put the statement “Your California Privacy Rights” in the body of your request, as well as your name, street address, city, state, and zip code. In the body of your request, please provide enough information for us to determine if this applies to you. You need to attest to the fact that you are a California resident and provide a current California address for our response. Please note that we will not accept requests via the telephone, email, or by facsimile, and we are not responsible for notices that are not labeled or sent properly, or that do not have complete information. Flash cookies, known as local shared objects, are data files placed on a Device via the Adobe Flash plug-in that may be built-in to or downloaded by you to your Device to personalize your visit. Our third-party service providers also may use Flash cookies to collect and store information. Flash cookies are different from standard browser cookies because of the amount of, type of, and how data is stored. Cookies may be used for many purposes, including, without limitation, remembering you and your preferences and tracking your visits to our web pages. You can choose to have your computer warn you each time a persistent or session cookie is being sent, or you can choose to turn off such cookies through your browser settings. Each browser is a little different, so look at your browser Help menu to learn the correct way to modify your cookies. However, cookie management tools provided by your browser will not remove Flash cookies. To learn how to manage privacy and storage settings for Flash cookies, please click www.macromedia.com/support/documentation/en/flashplayer/help/settings_manager.html. If you choose to disable cookies on your Device, some features of the Services may not function properly. We use HTML5 in some of our applications, including in our mobile website for the iPhone or iPad. HTML5 has browser web storage that does not rely on traditional browser cookies. Like Flash cookies, HTML5 cookies are not stored in a browser “cookies” file and, like Flash cookies, can be used to track users across websites. To our knowledge there is currently no known way for a user of a mobile Device to remove HTML5 tracking and storage. Small graphic images or other web programming code called web beacons (also known as “1×1 GIFs” or “clear GIFs”) may be included in our web pages and messages. Web beacons may be invisible to you, but any electronic image or other web programming code inserted into a web page or e-mail can act as a web beacon. Web beacons or similar technologies may be used for a number of purposes, including, without limitation, to count visitors to our Services, to monitor how users navigate the Services, to count how many e-mails that were sent were actually opened or to count how many particular articles or links were actually viewed. Like most standard website servers, we log IP addresses (a unique number assigned to every computer on the Internet) and Device identification in order to improve security, analyze trends and administer the Services. We may track your movement within the Services, the pages from which you were referred, access times and browser types. This information may include the browser you are using, the Internet address from which you linked to our Services, the operating system of your computer, the unique IP address of the computer or Device identification from the mobile Device that you used to access our Services and usage and browsing habits. We use this information in the aggregate to gauge the effectiveness, usage, and popularity of our Services, track information for statistical purposes, help diagnose and troubleshoot server malfunctions, analyze trends, track user movement in the aggregate, and gather broad demographic information. We may also use individual information we collect through web logs to send you targeted offers and other communications.